The Academy of Media Arts (AMA) was created in 2008 as a small learning community for students interested in the digital media arts. It has evolved over the years, but has always sought to foster a community of learners focused on creative and collaborative project-based learning. The Biomedical Careers Academy (BCA) at Lawndale High School prepares students to take advantage of the tremendous career opportunities available in health and science. The hands-on, project-based, and problem-based curriculum engages students, allows them to explore the wide variety of health care and science career options, and equips them with knowledge and skills necessary to pursue a career or further education in the biomedical sciences. The Marine Science Academy (MSA) prepares students for the rigors of a four-year university science and/or physical geography program, with a special emphasis on marine related issues, technology and career opportunities. This mission will be accomplished by a group of committed teachers maintaining a science-based academy in which all students are engaged and claiming ownership of their learning. Students will be provided with a solid framework in which they will feel safe to take on challenges and create their own educational opportunities. Apply to Run for Class or ASB Officer! If you are interested in being part of student council and running for class or ASB president, vice president, secretary, or treasurer, please come to an informational meeting on Friday, April 19th in B-102 starting at 3:10. 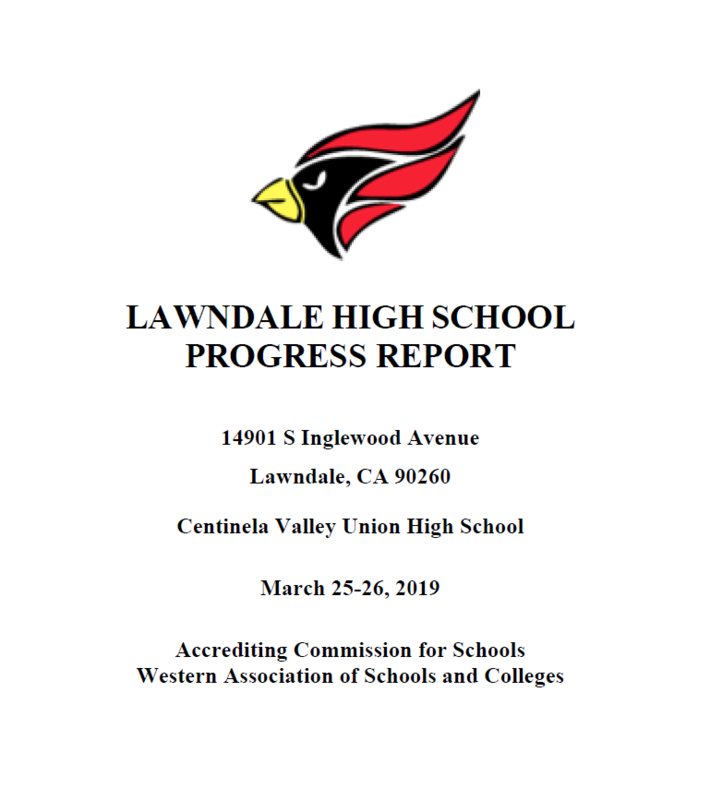 Students and families who wish to enroll for 9th grade for the 2019-20 school year, Lawndale HS will be open on Tuesday (4/2), Wednesday (4/3), and Thursday (4/4) from 8:00-11:30am and 1:00-2:30pm. Please call 310-263-3138 with any questions regarding enrollment. If your child is attending Lawndale High for the 2018-19 school year, priority enrollment begins on December 8th for incoming 9th graders. Click on link for more dates and How to Guide. If you need to enroll in summer school, make sure to talk to your counselor before March 28th. If you miss this deadline, you will be placed on the waiting list for summer school. Click on the link for locations, dates and time. Join Student Council for 2019-2020! We are looking for spirited, creative students that can represent their peers in student council. Grad Nite will be at Disneyland Resort on June 7th. We are proud to announce that this year's casino themed prom will be at the Majestic in downtown LA on Saturday, June 1st. For more information on Prom, Grad Nite, yearbooks, and graduation, visit the senior website. As pricing and more information becomes available, the website will be updated. To report a student absence, please call (310) 263-3131 or (310) 263-3132. You may also submit an absence note to the attendance office. All phone calls or absence notes must be submitted within 3 days of the absence. You can download the Absences Verification in the attendance tab found under Parents or hand-write the note.